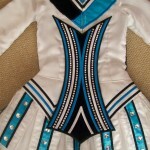 This dress is only 9 months old and was designed and made by Gavin Doherty at Eire Design. It has the most amazing stage presence. 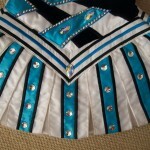 The dress is Turqoise and white satin with black velvet detail. 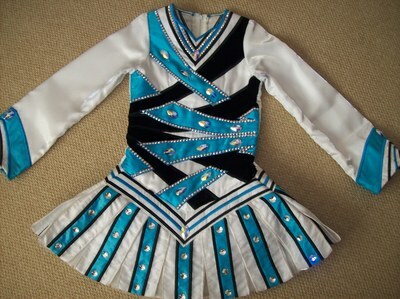 It has over £400 worth of Swarovski Crystals (all intact) and has been very well cared for. It comes from a smoke free house. 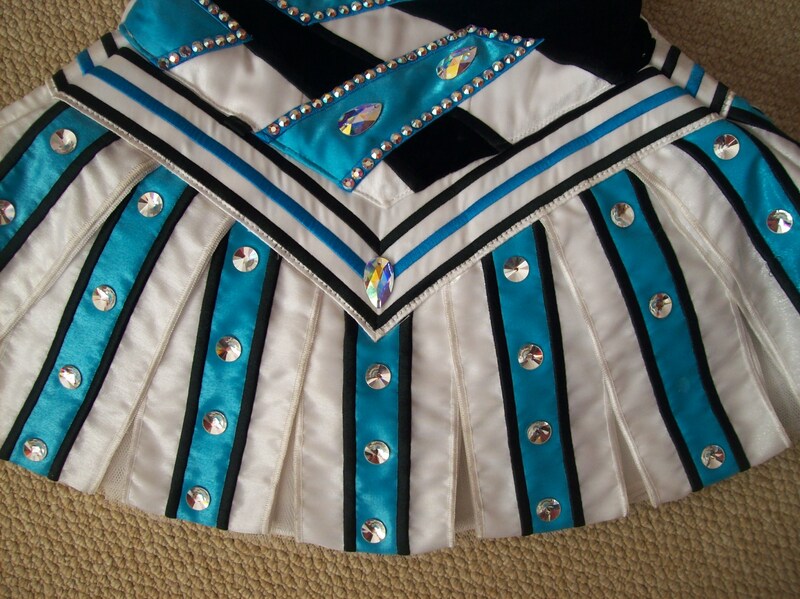 It has the latest style skirt which is also covered in Swarovski Crystals. It comes complete with matching white satin kickpants. This dress has never been altered so there is room for let out and let down. Asking Price: £750 or very nearest offer. Shipping costs are: Are not included in the asking price. Sale is final.